Design is the science and art of connecting people (and other living beings) to ideas. Design is a tool which adds value to all of our business connection points. To evoke positive and persistent client memory it makes sense to consistently refine touchpoint interactions. Design services include but are in no way limited to Brand Identity and Consistency, Logo and Icon Development and varieties of Printed and Website Based products solutions & hybrids. 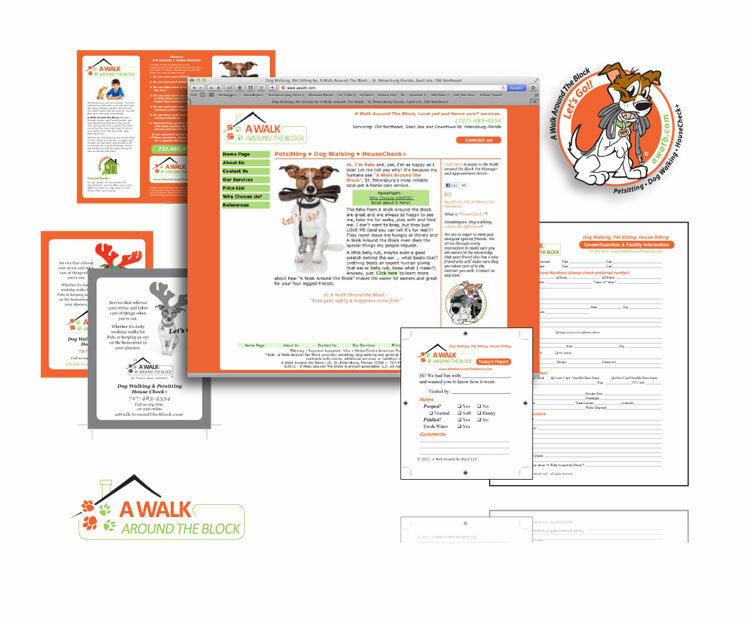 For Printing and Website projects, it starts as a simple conversation about your project, email (Form) confirmations then about project scope and we begin. Please say Hello. Let's build and refine your vision and bring it forth - StormDesigns. Design - Logos, Icons and more. StormDesigns focus is on providing a broad variety of the design services businesses and organizations use on a regular basis. This includes not only logos and icons but advertising layout, publication, displays and signage, graphic communication and touchpoint interaction design. The advantage to you is one responsive point of contact with access to proper resources to simplify your requests and bring your project to life. Worked with client to develop a logo icon set for their feedstock growers association. Multi-touchpoint interaction design facilitated through website and print media design services and layouts. 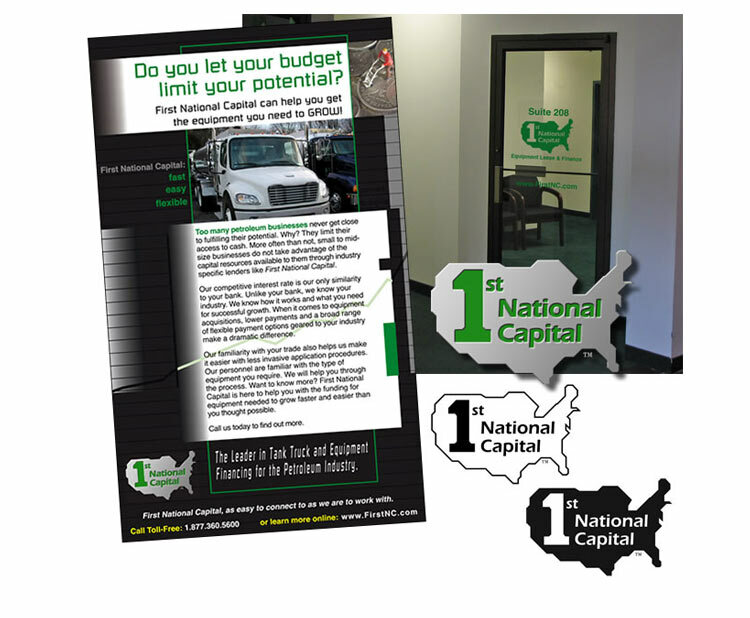 Logo development leading to branding package with literature, website and on-sight door signage. An odd project but worth noting. This client had product being delivered from overseas, didn’t have the product in yet, but needed to market as if the product were already here. 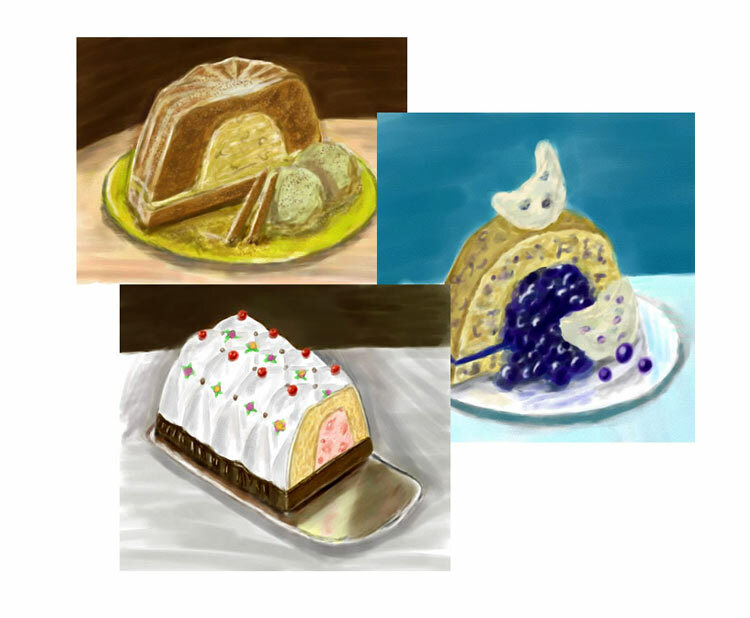 We were hired then to create these illustrations of cakes that didn’t yet exist. We weren’t handed a recipe either just “Here, go make a few cakes” Tasty? 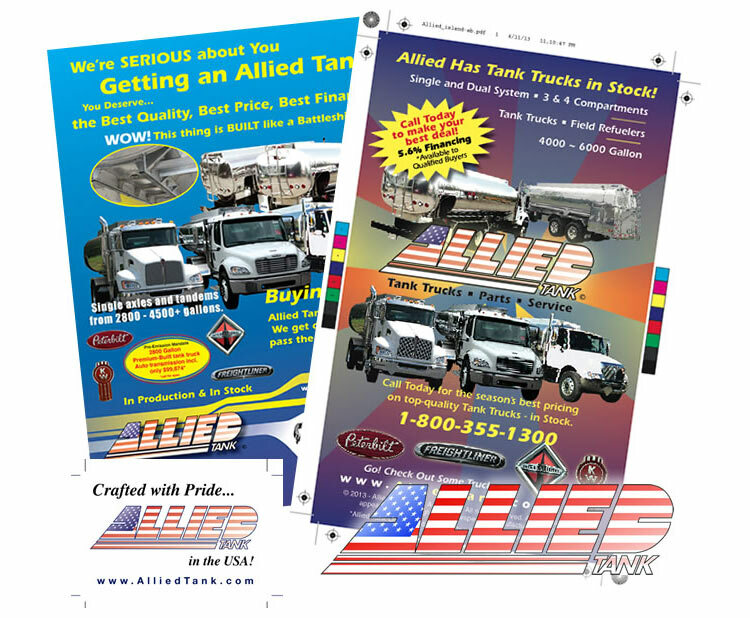 In addition to collaboration on initial logo designs StormDesigns provided Allied Tank with a diverse array of support design services. 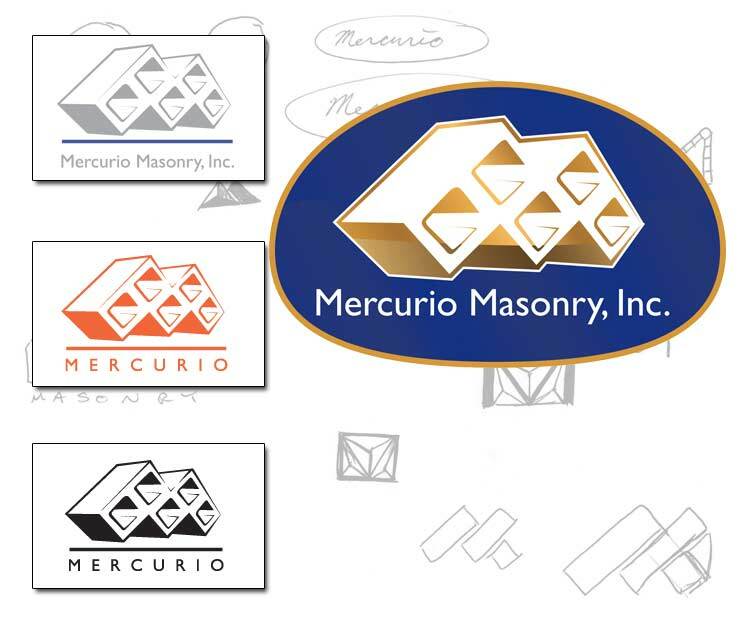 Logo development for a Masonry specialist. Through various sketch ideas determined this logo where concrete blocks form the "M" for either Mercurio or Masonry (or both) - skeuomorphic enhanced version seen below.